After getting fed up with Corel continuing to drop the ball with Paint Shop Pro, I decided to write this plugin to automate part of my workflow. Without further adieu I present to you... RawLoader! Hmm, that's news to me. Looking at the code (both yours and mine) this doesn't add up. I've filed a bug to check into this for the next release. This has the potential to be the best PDN plugin ever (next to the psd support and Conditional Hue/Saturation). 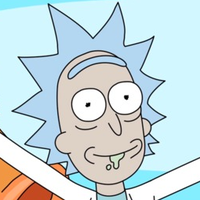 Rick: Yeah, I took a quick look at the Paint.NET source and couldn't find anything either :? I'll be looking into it in more detail later today. If I find a fix I'll submit a patch that you can examine and merge. What's the procedure for submitting patches? RAW is an image file type used in photography. You need a camera like a Nikon 200D or Canon EOS to get pictures like that. Normally RAW editors and converters cost hundreds of dollars, but this one is free! And it's a plugin to Paint.NET! You can get many informations about RAW on wikipedia. But great plugin and thank you for the develepment. Bravo. I will definitely be using this. Thanks to you and Dave for working on this. Thanks for the work on this plugin! I have been looking for a RAW workflow tool, and I really didn't want to spend the money for Lightroom or any similar tool. I also own PSPP11, and have been frustrated with the RAW support. I edited the source and recompiled with C# Express, to include support for my camera (Pentax *iST DL, .pef format), with ease. It appears to be able to edit the full 16 bit file without down-conversion too, although I still have some experimentation to do. I hope that the File>Save bug gets resolved in the next release. I have a question though. Am I really editing the 16 bit raw file, or is Paint .NET or DCraw sampling it down to 8 bits in the background? I'm asking because I do not get a prompt to reduce the colors, but Paint .NET applies changes faster than anything that I've ever used. If I adjust curves, it's almost realtime on a 10+ meg RAW file, and it previews and prints as fast as my other programs do on jpgs (beautifully too, I might add, without whacking out the colors like PSPP11 seems to). Even at 8 bits, that's simply amazing, but it astounding to consider if it's actually working on the full 16 bits. Other changes are applied very quickly too, even the effects. Either way, it's obvious that Paint .NET is highly optimized. PhotoG, Paint.NET works exclusively with 8-bit per component pixels. So yes, it is downsampling. Ah! Thanks. It still amazing. The proof is in the print. When the File -> Save bug is fixed, will I be able to save changes in the native raw (.pef) format, albeit in 8-bit color? I could not agree with you more. This is a great plugin. Unfortunately I use a Pentax *ist DS which is not listed and I don't know how to program. I sent you a PM asking if you could update your plugin to work with pef files. If you can that would be great. If not then you still have a great plugin.. Great work. Can I post the the modified RawLoader.dll? All I did was add the .PEF filetype to the file open dialog, since DCRaw already handles the Pentax format (I discovered that while using it with GIMP). Hey, I receive an error from Paint.Net, when I try to open a .nef RAW image, that there is some unspecified error while opening the file. Any guess what went wrong? Thanks for this plug in !! Works great . I like it better in paint.not rather than the eos supplied loader . Is there a way to view the raw images in the thumbnails ? I noticed that after loading a NEF file and saving it to JPG only a couple of attributes are saved in the EXIF data. Is there something that needs to be configured? Probably take a modification to the program like with the pentax version. I noticed the same thing. I checked and Dave Coffin's webpage and apparently dcraw supports my camera's raw format so I would assume the problem is not in the capture of the EXIF data. I'm using Exiftool by Phil Harvey to copy the exif tags from my NEF file to the JPG extracted one. This freeware command line tool is really great, it can do so many things with raw files. I used to take pictures in Raw+Jpg mode on my Nikon, now I just take Raw, and create Jpg with exif thanks to exiftool. just drag'n'drop the folder that contains your photos on the exe icon (renamed this way) and you are done. Thanks for that. It is an extra step but it works well. btw, anyone know why i get gray raw images from my nikon d40x?